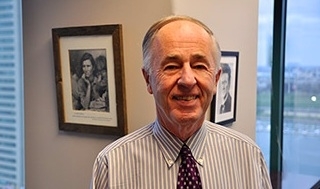 I have always considered Bob Embry http://www.abell.org/robert-c-embry-jr, the president of the Abell Foundation, to be one of Baltimore’s Wise Men. I wanted that to be the jumping off point for the lunch discussion. The fourth recommendation of that report is to “expand the range of financial institutions”. There is a model for foundations – it is the Abell Foundation. In our discussion David agreed with the proposition that Bob Embry as being one of the city’s “Wise Men,” but backed away from my suggestion that he might be one of Baltimore’s Wise Men” too. “Other than my last name and the fact that I once was COO of a company in Delafield, Wisconsin (where George Kennan, one of Isaacson and Thomas’ six foreign policy Wise Men), attended prep school I would stay away from association with that characterization. “Bob Embry stands alone in his commitment and contributions to the City,” Wise stated. He then went on to point out his opinion that if something good is happening in Baltimore on the “grant side or investment side” it likely has the “fingerprints” of the Abell Foundation and Bob Embry someplace. He also noted the major contribution of a “Wise woman,” Eileen O’Rourke, Abell’s CFO, with whom he worked closely on everything. The discussion then turned to the very first investment with which he had been involved with Abell back in 2014: Harpoon Medical. Just last week Edwards Scientific exercised an option to purchase Harpoon for $100 million with potential milestone payments of an additional $150 million, a transaction with which any standard venture capital firm would be quite pleased. Epidarex Capital, Maryland Venture Fund and UM Ventures were also investors along with Abell in Harpoon. “Harpoon produced a great return, but also created jobs in the city, helped build the life sciences ecosystem at UMB and the region and will also provide tremendous medical benefit to mitral valve heart patients around the world,” he noted. Wise noted that Harpoon and the second Abell investments with which he was involved, called Breethe, which is developing the world’s first portable artificial lung (also out of UMB) set him on the course of a “personal mission’ for Baltimore to become one of the top medical device innovation hubs in the US. He noted that innovation and manufacturing need to occur in the same location, but that until recently Baltimore and the state did not have an ISO 13485 medical device manufacturer. That changed. Abell provided funding for Harbor Designs and Manufacturing to get that international designation and to build out and a manufacturing facility. Abell also has worked with local medtech entrepreneur, Bob Storey, to sell Baltimore to a medical device manufacturer from Indianapolis and an adjacent medical device accelerator to Baltimore in space being built out right now at City Garage. Although his first two investments were out of UMB he also noted that Abell works quite closely with Johns Hopkins. Christy Wyskiel, the Senior Advisor to the president of Johns Hopkins, is an Abell Trustee. Over the years Abell also invested in a number of companies out of Hopkins such as PGDx which raised $21.4 million in an A-round in 2015 and is in the process of closing what appears that it will be a very successful B-round. He also noted that making investments were not the only thing in which he has been involved. As an example, he met Param Shah and became an early mentor when Shah was in his sixth week as a freshman at Hopkins. He said it was particular satisfying when last December, at age 21, Shah was named to one of Forbesmagazine’s “30 under 30” list as he launched, while still an undergraduate, a very promising manufacturing software firm called Fusiform (now Factory Four). 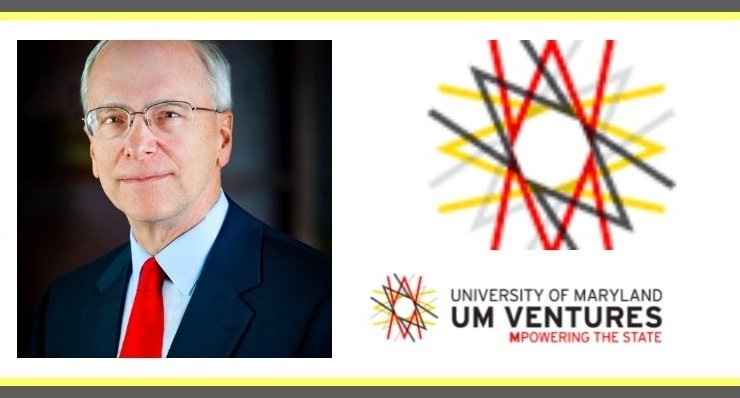 Wise is now the Director of the University System of Maryland Momentum Fund which was created by the USM Board of Regents to make investments of $250K to $500K (subject to an additional 1:1 match) in the most promising early stage companies associated with the university system. He indicated that he is focusing on the same “late seed” stage or what TEDCO calls “gap” funding. The one big difference though is that he is spending much more time advising companies and getting them in position to fund. “Many of these companies have great technology, but they are either very early in development or have a professor as the founder, but no management team.” He noted, as an example, that he has been working on one company in particular to recruit a CEO so it can be launched. To date the Momentum Fund has closed on one investment, MF Fire, but is working on several others. 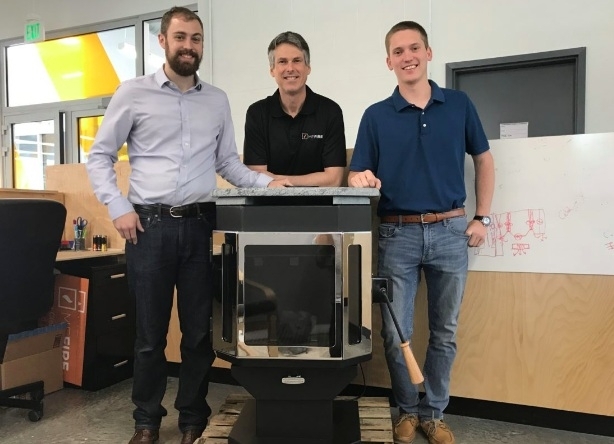 MF Fire is a very advanced wood burning stove, what Wise calls a “computer in a stove,” that produces virtually no particulate matter or soot and can set room temperatures on up to 2,000 SF by smart phone. The company emerged out of one of the world’s premier centers of excellence for the study of combustion in College Park. Based on the strengths of the USM research universities and also Governor Hogan’s EXCEL program one can expect a lot of investments in life sciences and cyber security, but the advanced wood stove demonstrates the wide range of technologies that will come out of such a diverse set of academic institutions.